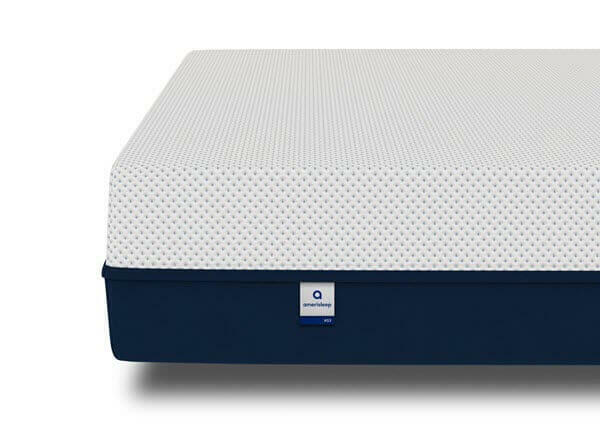 The Amerisleep Liberty is one of the most popular mattresses that Amerisleep offers. It is designed to be appealing to a wide range of different types of sleepers, and is a good choice for most people, no matter how you prefer to sleep. The mattress is also known as the AS3, and if you learn a bit more about it, we’re sure you’ll understand why it’s one of the most popular products that Amerisleep sells. 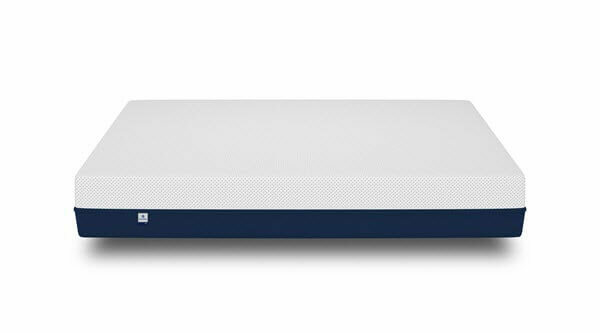 Should I Buy the Amerisleep Liberty Mattress? The Liberty uses 3 foam layers to produce a balance sleep feel. 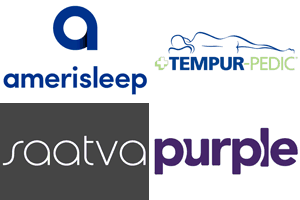 All Amerisleep mattresses are made with special materials that you can read about in our Amerisleep review, which broadly covers the company and discusses some of the commonalities between all of their products. The 3 layers that make up the Amerisleep Liberty result in a mattress that is 12” thick. Top – The top layer is designed for cooling and comfort. It is made from 3” of Amerisleep’s proprietary Bio-Pur memory foam. This has several pieces of advanced engineering to pull heat away from the body and channel it into the large airpocks in the foam to allow for greater cooling and breathability than you would expect out of most memory foam mattress. Middle – The middle layer is set up to provide support and pressure relief. It is constructed from 2” of transition foam. It has as a transitional zone between the top layer of foam and the bottom foundational layer. It is more supportive than the top foam layer, but doesn’t have the density and support that the base layer provides. Bottom – the bottom layer acts as the base of the mattress. It is made from 7” of Bio-Core support foam, which provides good support while at the same time incorporating technology to help pull heat way from the mattress and make it breathable and cool. 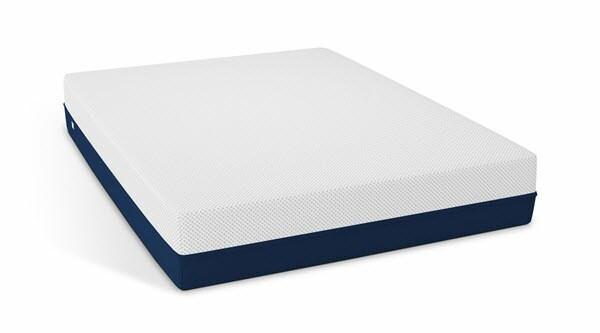 Moreover, this Bio-Core foam provides great deep compression support and relief from pressure points, while helping the mattress maintain its shape. The cover is another place where the Amerisleep Liblerty mattress sets itself apart from some of the other mattresses on the market today. Most foam mattresses use the same color scheme and basic cover design, white top, grey side panels. However, the Amerisleep Liberty uses a white top and blue side panels. That’s not what sets the cover apart or makes it special though. The thing that really sets the Liberty’s cover apart is the fact that it has 21” Celliant in its construction. This material works to turn body heat into infrared light. Infrared light can’t be seen by the naked eye, but it has been shown to improve bloodflow and thus oxygenation, which can be helpful in relieving pressure points and increasing the overall comfort of the mattress. When it comes to firmness, the Liberty, or AS3, is right in the middle of the range for a mattress. On a scale from 1-10, with 1 being the least firm and 10 being the most firm, the Liberty is a solid 5. This is part of the reason why so many people prefer the mattress, and part of the reason why it provides the feel and support that it does. When you first lay down on a Liberty mattress, the initial impression is one of pressure relief. Most mattresses that provide pressure relief do so with a lot of sinkage, which can create a stuck or sinking feeling. However, the Liberty sets itself apart by avoiding this feeling, with an above-average responsiveness and plenty of support. As a result, sleepers who are looking for relief from pressure points but also want a more floating feel on top of the mattress will enjoy the feel and comfort of the Liberty. Another thing worth noting is that the Liberty does not sink much more for heavier sleepers than it does for lighter sleepers, which can make it a great option for couples who have different needs from a mattress. The sinkage in a Liberty mattress is also spread out and distributed very well, which can help you avoid creating more pressure points or feel that the heavier parts of your body are higher or lower than the lighter parts, which can lead to awkward positions and waking up sore, stiff, or cramped. The Amerisleep also offers better cooling and bounce than other mattresses is its class. The Bio-Pur memory foam pulls heat away from the sleeper, and the responsiveness of their unique foam blends allows the mattress to feel much closer to a traditional mattress than many of the other foam mattresses we’ve tried out. As a result, this is a good choice for people who like traditional mattresses and are nervous or leery about moving to a memory foam mattress. The one problem we found with the Liberty in this area was edge support. However, this issue is not egregious enough to give the mattress a bad review or rating, and it is most aggressive around the very edge, with full weight applied. This can interrupt certain adult playtime options, but doesn’t impact the quality of the sleep you experience. Our reviews always include sinkage tests, which are a great way to create an understanding of what kind of feel the mattress has, as well as the durability that reliability of the mattress and how it will hold up over time. Our tests are done using an individual who weighs ~140lbs. This means that our test numbers might be different than the ones you experience, depending on weight and other factors. Laying on Back – laying on the back in a normal sleeping position, with weight spread evenly, we encountered 2” of sinkage. Laying on Side – laying on the side in a normal sleeping position with weight evenly distributed created 2.5” of sinkage. Slight Edge Sit – sitting on the edge of the bed, but without resting the body’s full weight on the edge, produced 4” of sinkage. Full Edge Sit – sitting on the edge of the bed with the bed supporting the full body weight resulted in 5” of sinkage. Standing in Middle – Standing in the middle with both feet created in 6” of sinkage. Amerisleep frequently runs specials on their site for as much as $200 off the regular price. They also frequently combine this offer with things like free return shipping or a number of extra nights to try out the mattress and decide if you like it. Shipping – Shipping is done via FedEx. Orders take 1-2 days to process, and arrived compressed in a box in 1-5 additional days. Total time 2-7 days from order to delivery. Warranty – 20 years, one of the best in the industry, with 10 years full refund and 10 years prorated refunds. 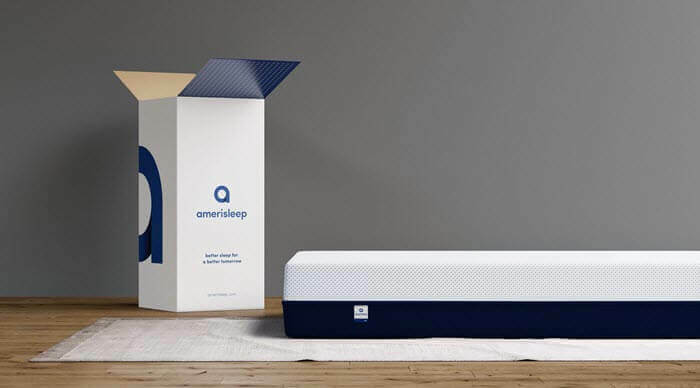 The Amerisleep Liberty or Amerisleep AS3 mattress is a good choice for many people because of its unique combination of support, comfort, coolness, breathability, hug, contour, responsiveness, and bounce. However it is a bit more expensive than many of the other foam mattresses on the market today, so the real question has to do with if the Liberty is worth the extra cash. The answer, for many people, will be yes. The medium firmness of the mattress make it one of the most all around appealing mattresses. The use of advanced materials and techniques mean that the mattress is able to bring out and showcase many of the more desirable qualities of memory foam, without falling prey to the drawbacks that some associate with the material. This allows sleepers to get a firm, comfortable, supportive, and cool night’s rest while still enjoying the plushness, hug, and contour of memory foam. The Liberty will be extra appealing to side and back sleepers, as it allows for good contouring along the body because of the unique way the material hugs. This allows it to give side sleepers support where they need it most without creating too much extra sinkage. Finally, the Liberty is a good option for people who want the best that memory foam has to offer but minimal drawbacks. That means hug and contour with cooling and support. It has much better responsiveness than other memory foam mattresses, even though it isn’t as responsive as latex foam or a coil mattress, and the unique way that the Amerisleep Liberty and all Amerisleep mattresses are made means that it has excellent cooling and airflow. This is because the manufacturing materials and manufacturing process create larger than normal cells in the foam, allowing for more airflow and thus more cooling, without giving up the hug and contour properties that makes the material so enticing. As a result, it is one of the best three-layer foam mattresses we’ve looked at, and certainly deserves a mention on our best mattresses section. If you’re considering getting the Amerisleep Liberty mattress, be sure to look around the net and closely watch their store, as the deals and discounts they give are fairly regular. These discounts can help take some of the sting off the slightly higher-than-average price for the Amerisleep Liberty mattress, and makes the mattress itself even more competitive with the other foam mattresses in its class. If you can get the Liberty while one of these deals is going on, then it is certainly worth the minimal difference in price between it and its competitors when it comes to choosing your next foam mattress. It’s made in the USA, and it gives a quality night’s sleep to most people. Finding the best memory foam mattress is easier than you think.